Back with a roar! The Jurassic Park franchise returns from the dead with a vengeance in the newest and highly anticipated installment since the original back in 1993, and certainly since The Lost World in 1997 and Jurassic Park 3 in 2001. Jurassic World will take you back to the island that started it all and deliver the same WOW factor as the original beloved favorite. Return to Isla Nublar to experience the park John Hammond envisioned but could never have dreamed would become a reality. “The park is open!” Enjoy the adventure, pseudo-science, character development, plot, the acting, and the music that you loved about Jurassic Park (1993) in a film that holds true to the very essence of what made the original such a great film but adds in the visual storytelling technology we enjoy today. For lovers of the ride at Universal Studios (FL/CA), you will enjoy experiencing the park in ways you may have only dreamed of, and for lovers of the franchise, despite the poorly produced past sequels (even though they are still fun to watch), prepare for your expectations to be greatly surpassed as you return to your childhood and experience Jurassic World. Jurassic World takes us back to Isla Nublar off the coast of Costa Rica. Just south of the original park, a new theme park has been opened and is bustling with park guests and dinosaurs alike. The luxury theme park and resort is jointly ran by Claire (Bryce Dallas Howard) and of course the once chapter 11 InGen BioEngineering company founded by John Hammond (the late Richard Attenborough). For the last few years, the guest satisfaction ratings have plateaued at Jurassic World and Claire has worked with InGen’s Dr. Henry Wu (B.D. Wong) to develop a genetically modified hybrid to wow the guests and increase profits. But as Ian Malcolm once so eloquently put it “life will find a way,” the attempts to control the park’s “assets,” will not go as planned. 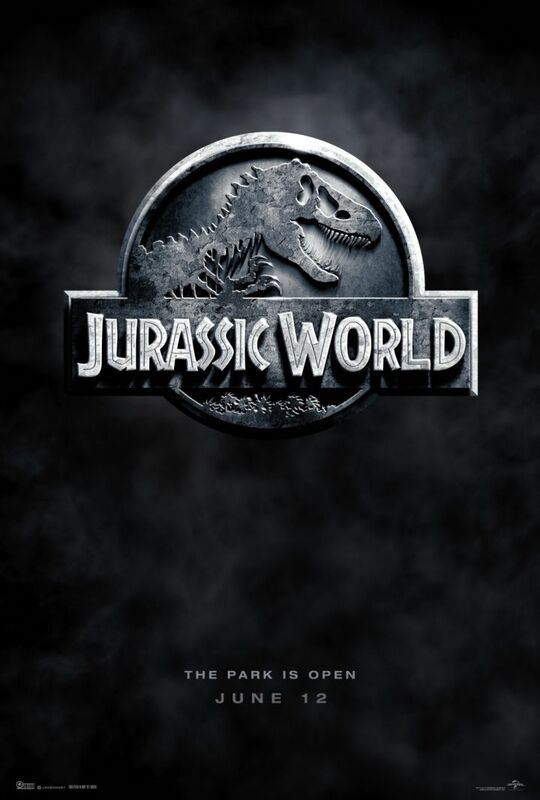 After the newly minted genetically modified hybrid Indominous Rex cleverly escapes the paddock, it is up to Claire and her unconventional Navy veteran turned dinosaur control/safety expert Owen (Chris Pratt) to save Claire’s nephews Zach (Nick Robinson) and Gray (Ty Simpkins) as well as the over 20K park guests from the jaws of history’s top notch predators. Where to begin? It seems so much easier to write a critique for movies that are just okay or even terrible. When working with such an incredible movie, it’s sometimes difficult to know where to begin and even harder to know when to stop. Going into the movie, I had my reservations-especially after seeing what I thought was a ridiculous scene from the trailer of Owen facing off and talking with the raptors–but I can honestly say that is this movie that I, as well as millions of others in their mid-to-late 20s and early 30s, have been waiting for since we saw the original as kids in theaters. It truly embodies everything that made the original great and capitalizes on it by adding in the digital effects and visual storytelling techniques we enjoy as part of modern cinema. The best movies are those that simultaneously embrace current technologies whilst remaining grounded in the very essence of what a movie should be: exceptional visual storytelling in terms of the art and science of filmmaking. This truly is the sequel we have been waiting for since the helicopter left Nublar 22 years ago. I was watching Jurassic Park 3 with a friend in order to finish the first three movies prior to seeing Jurassic World last night, and I asked him and myself “what was it about the first one that makes it such a great film and in the top 20 grossing movies of all time (and that’s even when adjusted for inflation)? We talked a little, and both decided that is was the dynamic plot, clever writing, memorable characters, and that wow factor of seeing dinosaurs like never before on the big screen that made the first movie not just a successful movie but a GREAT movie. That same dynamic plot filled with subplots and subtext, memorable characters, and more is captured by the current installment. Yes, this movie is high concept as summer blockbusters usually are; but just because it’s high concept doesn’t mean that we cannot experience character development, subtext, exceptional writing, and great visual storytelling. From the moment that I heard the all-too-familiar music and returned to Isla Nublar, I knew then that this was going to be one of the most exciting and phenomenal movie-going experiences of my life. And you know what? It was as exciting as seeing the original for the first time. Universal Pictures, Amblin Entertainment, and Legendary Pictures harnessed the power of what made the first movie great and brought a nearly extinct franchise back from the dead. Just like the characters from Jurassic Park (1993) helped to make the movie what it was, so do the characters of Jurassic World. You have Claire who, much like Hammond, is a dreamer. Although, she is definitely more concerned with money than Hammond ever was. Witness as she goes from a cold shrew business woman to a courageous and loving aunt to her two nephews. Speaking of whom, witness the transition of Zach as the older mean brother who couldn’t be bothered with his sibling to risking his life to save his brother Gray’s. Dr. Henry Wu reprises his role as the genius behind the science that made Jurassic Park and now Jurassic World work. Every movie needs that hero who is unconventional and has subtle sexual tension with the strong female lead, and we get that, in spades, with Owen. There is the chief financier Simon Masrani (Irrfan Khan) who is concurrently overly concerned with making a profit but still genuinely concerned that his park guests are having fun. And finally, we have Lowery (Jake M. Johnson) who sports an original Jurassic Park t-shirt and has rubber dinosaurs on his desk because he loves the original park and is thrilled to work at the new one. Each of the characters has very unique personalities and traits that are meticulously woven into the plot in order to continually advance the story. I also wanted to touch on the references to the previous films in the franchise. Early on, it was made known that the old Visitors Center would make a cameo appearance, but I did not expect the extent to which the old compound plays an intricate part in Jurassic World‘s diegesis (narrative). Claire is even dressed in all white like Hammond. Not only is the music powerful–almost to the point of tears–and harkens back to the first time you heard it, but the movie helps to make Jurassic Park feel like a real place because of Lowery’s t-shirt he bought off eBay and the banner of “when dinosaurs ruled the earth” now covered in dirt and mold that fell from the ceiling at the close of the first movie. Although not formerly acknowledged, there are many references to not only the first movie but also 2 and 3, and even the Jurassic Park Ride. From lines of dialog to easter egg camera shots and even to the Jurassic Park 1992 Jeep Wrangler, Jurassic World uses material from its storied past to support the current narrative and evoke fond memories. Interestingly, the movie also deals with the element of third party companies grossly sponsoring attractions and exhibits in theme parks. Just like even Disney’s Magic Kingdom is now sporting a Starbucks on Main Street, the same can be seen in many theme parks. Sometimes it seems like theme parks are sacrificing storytelling and creative theming for the almighty dollar. Perhaps this movie shows us what happens when greed overpowers creativity. I feel that Universal Pictures (a Comcast Company) has been searching for its cash cow franchise like Disney’s Pirates, Avengers, and now Star Wars or like Warner Bros. Harry Potter (even though Universal rakes in the dough from the Wizarding World of Harry Potter at it’s Florida and soon California parks), like MGM’s James Bond, or 20th Century Fox’s Avatar or X-Men, but after the two failed sequels to Jurassic Park, all seemed lost. Until now. This installment in the 22 year-old franchise has been successfully resurrected and could quite possibly be a contender and a worthy opponent in the franchise competition. The way the final shots of the island were in the movie, I have a feeling that this was the official goodbye to this chapter in the Jurassic Park novel and the opening of the floodgates for followups to this movie that will hopefully continue the embrace of the essence of the original whilst continuing to advance the story of what happens when man creates and manipulates dinosaurs. I don’t know what you have planned this weekend, but you NEED to get to the theatre to see this movie. I am even planning to see it again this weekend myself. But, I need to find an IMAX that is showing it in 2D (yes, that is correct 2D). Prepare to be taken back to your childhood and relive the experience all over again in the newest chapter of Jurassic Park. As always, if you liked this review, please follow or subscribe or at least share the link on social media. For my review of Jurassic World: Fallen Kingdom click here.